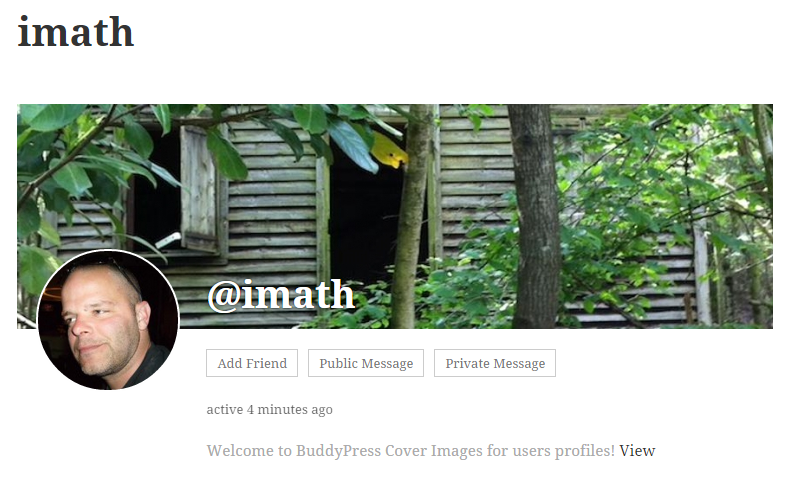 BuddyPress 2.4.0 will introduce Cover Images for members & groups! Most social media include a feature to allow their users to customize their profile’s header. While this feature may seem trivial, it is actually quite complex to implement in our case. Unlike these social media which only need to manage one single graphical interface, BuddyPress can be integrated into nearly all WordPress themes and needs to account for all scenarios. Of course, this complexity is also one of our major strengths: BuddyPress lets you build highly customized community websites. 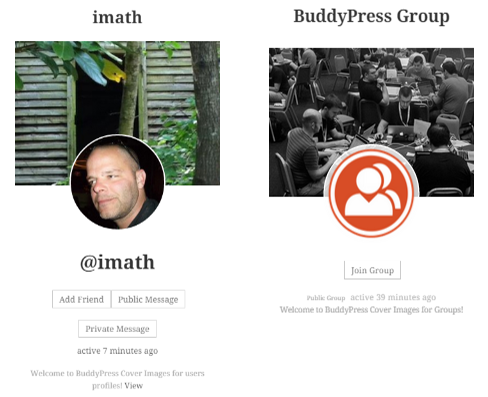 To add to this complexity, some BuddyPress themes or plugins have already built this feature. 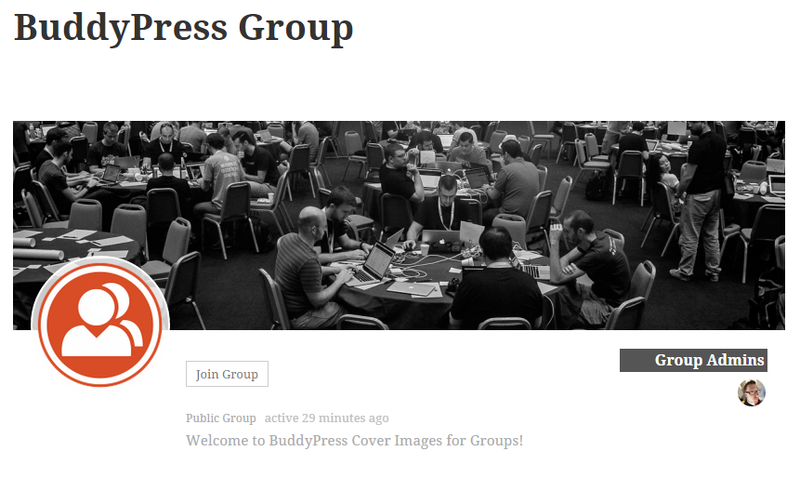 Before telling you more about these 2 points, here are the BuddyPress Cover Images! 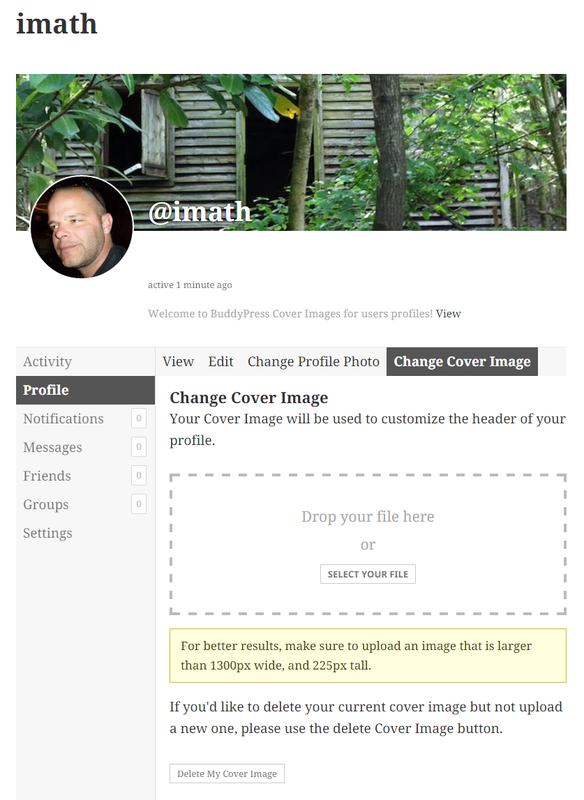 Members can manage their cover pictures by visiting their profile page and activating the “Change Cover Image” nav. 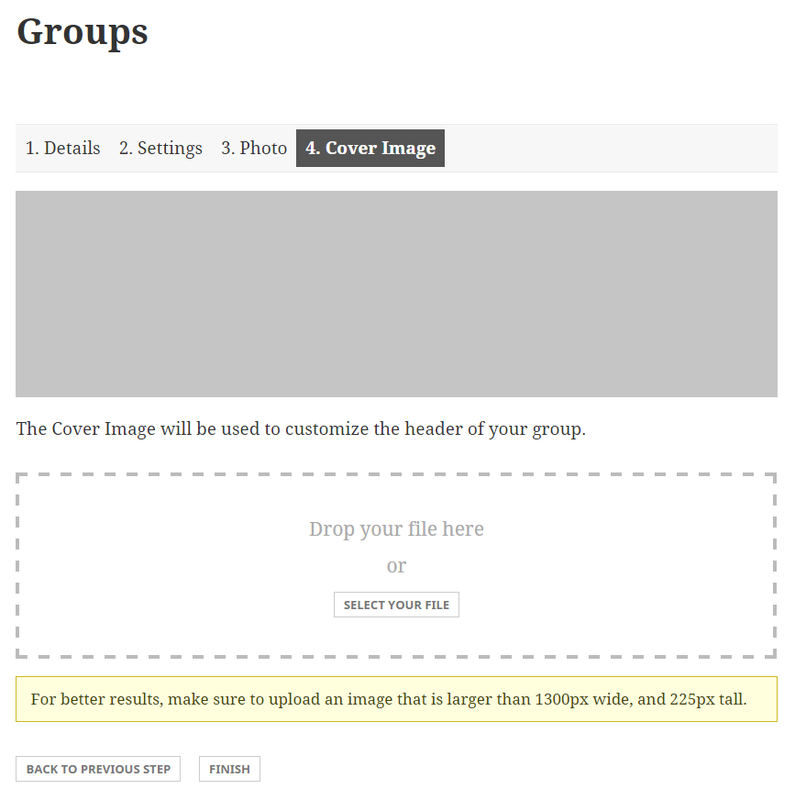 If the Groups component is active, Groups will also be able to enjoy cover images! At any time, Group Administrators can manage the cover image by displaying the “Cover Image” sub nav of the Group’s management area. User and Group cover images viewed on a smartphone. To make this happen, we rely on our great BP Theme Compat API. In short, we are checking the active theme is using the API and the BP Legacy template pack before registering the feature. If it’s the case, BP Theme Compat will take care of everything! If you’re wondering how the size of the cover image is calculated, i’d say it’s an “equation” involving two parameters: the $content_width global of the theme and the Avatar’s full height. We have already optimized the feature for the latest “Twenties”. By the way all the screencaps of this article were made using the “TwentyFifteen” theme. 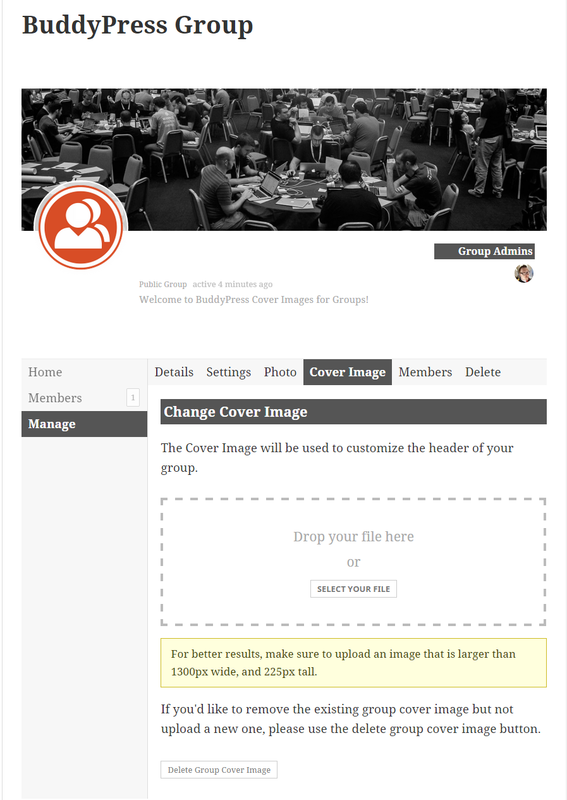 If your theme is using the BP Theme Compat API (which is the case of most WordPress themes) and if you haven’t overridden the templates listed inside the “Edited Templates” column, then as our test drive is attesting: BuddyPress Cover Images should look awesome into your community. If you’ve overridden one of the edited templates and you want to enjoy this new feature, please make sure to update your templates by the time BuddyPress 2.4.0 is released. If your theme requires some “fine-tuning” or if you’re feeling the need to customize the default appearance of the members profiles and groups headers, be assured that you’ll be able to do it easily. I’ll be publishing more information in the BuddyPress Codex about it. For Standalone BuddyPress themes like BP Default. Your theme is using the BP Theme Compat API and you want to deactivate Cover Images for members, groups or both? 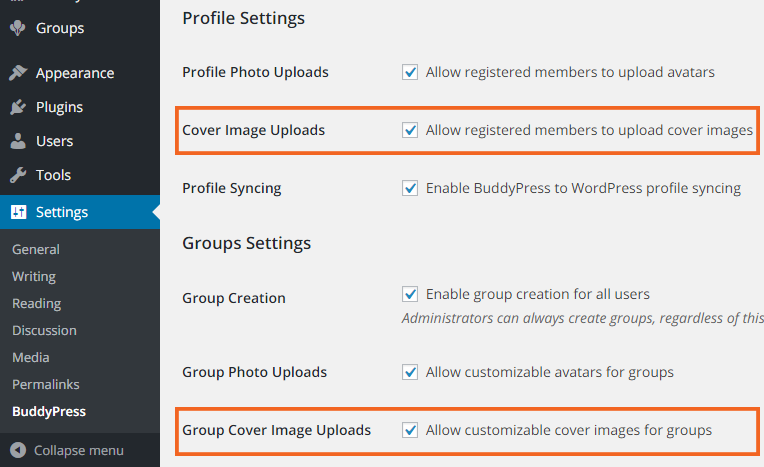 First, at any time, you can do it by deactivating the corresponding setting for cover images in Settings > BuddyPress > Settings as shown in the screencap below. If you are a theme designer or the author of a plugin managing Cover images, we recommend that you don’t forget to test that everything works fine for you during the 2.4.0 beta period. Finally, we’d like to thank all the contributors who gave their professional feedback while building this new “Attachment” feature with special mention to @modemlooper and @BuddyBoss. Awesome job, looks and works great! Congratulations with a new big feature in the core!